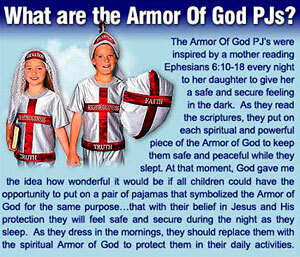 Oh, I REALLY want those Armour of God pjs. If I pray enough, do you think Satan Santa will bring me some? Anaglyph: If they made those in adult sizes, I PROMISE you that I would buy them for you.